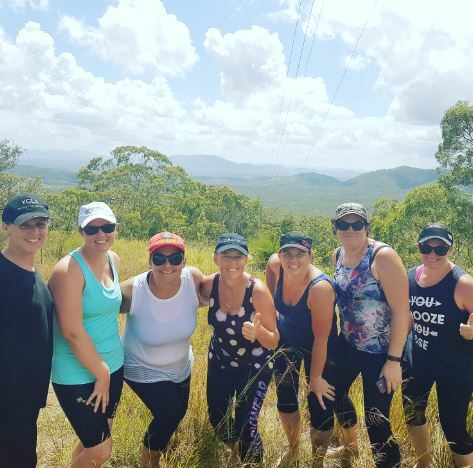 On Friday 16th March 2018, eight Miriam Vale residents including four staff from the Miriam Vale Primary School will be taking a hike – a very, very long hike: 60km in one day – as they take part in the Sydney Coastrek raising funds for the Fred Hollows Foundation. Shayna Pender, one of the walkers, says the experience will take them across all terrains and past all the iconic sights in Sydney. With only just under a month to go in the teams’ training the women are waking up as early as 2am to walk up to 45 kilometres through the night time landscape of Miriam Vale. Their training so far has consisted of road walking, sand walking and a 27km training walk, with a 45km walk planned for a fortnight before the event. “Living out of town our walks are mainly on dirt & gazetted roads around Miriam Vale,” Shayna said. “We’ve seen a lot of the local wildlife,” she said. The two Miriam Vale teams “Tramps Like Us” (Barbara Bryant, Bec Hancock, Bernadette Coster, and Karla Irvine) and “Tramps Like Them” (Nikki Wingate, Shayna Pender, Billie-Jo McGregor and Lyn Harms) are both well on the way to achieving their goal of $2000 but for such a good cause, more sponsors are welcome. 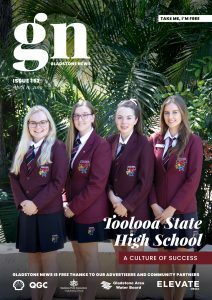 If you’d like to sponsor the teams and help raise money for the Fred Hollows Foundation, you can visit the Coast Trek website https://sydney.coastrek.com.au/ and search for “Tramps Like Us” and “Tramps Like Them” in the “find a trekker to sponsor” section.